Crystal clear dark red color with a raspberry red hue on the edge. On the nose, cherry, raspberry jam and blackberries. Excellent balance of alcohol, very drinkable. Short finish, jam-like and very fruity. But a top-hit, very nice and incredibly drinkable wine. Only complaint is the label, very unusual too :). 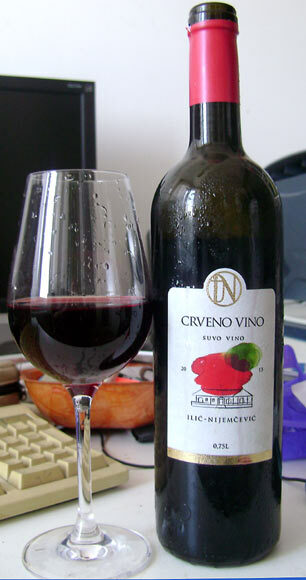 Style : dry red wine, 12% alc. Merrily. It is hard to leave out of hand. Interesting . Good after- taste. All same as this wine.